Big Announcement: Zale’s Tales Two is Here! We have exciting news! We have been joyfully crafting our third children’s picture book these last several months, and it is now on the shelf at Amazon.com! 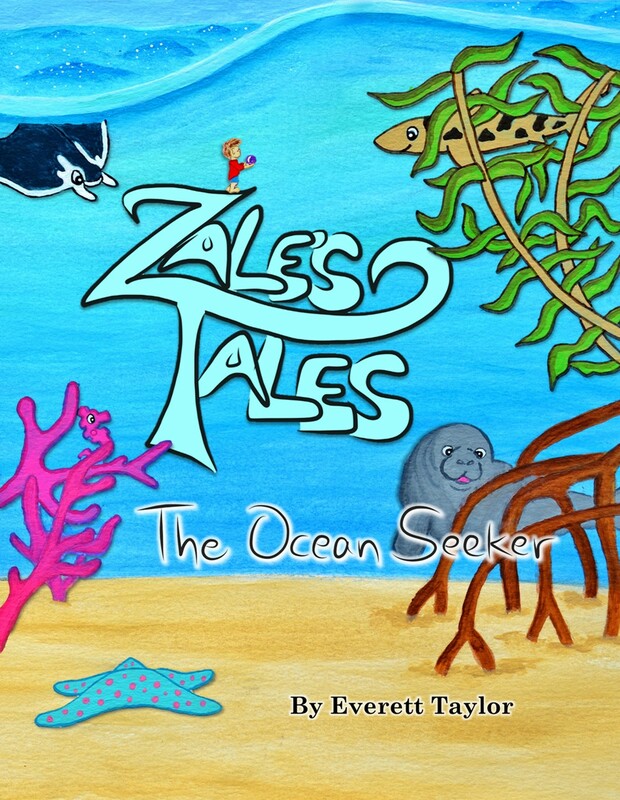 We’re especially excited because it is the first sequel to our Zale’s Tales ocean adventure. Zale is back in full force with his magic pearl that lets him transform into ocean creatures of all kinds! But this time, he’s with a whole band of friends who have found magic pearls too, and they cruise their ocean playground in a thrilling game of hide and seek. From the coral reef to kelp forests (and so many more), Zale and his friends span the entire globe with their hide and seek game, giving a vibrant introduction to ocean habitats and the animals in them. Our newest release is especially dear to our hearts, as teaching about ocean creatures in their specific ocean environments is such a central part of ocean education. Camouflage, fur, body shapes, and other adaptations can even be pointed out throughout the book! Weaving the subtle yet concrete ocean concepts together through a fantastical and whimsical game of hide and seek, Zale’s Tales: The Ocean Seeker will captivate children’s imaginations and endear the ocean in their hearts. So, here’s an extended preview into Zale’s Tales: The Ocean Seeker. Enjoy the sneak peek, and be sure to catch the full adventure here on Amazon! Fascination and imagination so well-woven with marine science, reading, early education, and real-life relevance to the world around us and grow; a series to capture and enrich young minds, parents, and educators !!! Yay! So excited to read it too!